12 Hay Hill is one of London’s leading private members’ business clubs. Situated in the heart of Mayfair, they pride themselves on providing a luxury experience to fulfill the ever-evolving business needs of global leaders. 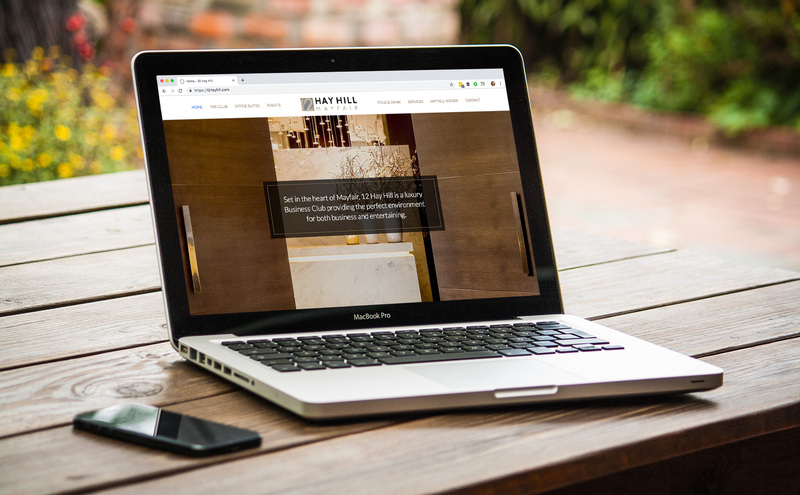 We’ve worked with 12 Hay Hill since 2015, helping them maintain their site, manage content and promote their annual Davos Debrief event. The website restructure project came about when they asked us to include three stunningly shot videos of the club and its facilities. It became clear that it would be a challenge to find a good place that would do the videos justice. Rather than ‘shoe-horning’ them into the existing site, we came up with a plan to future proof the site and keep things consistent. We needed to create something dynamic, efficient and complimentary to the sophisticated brand. We took the existing design and developed it, from a one-page site, to multiple pages; enhancing the user experience and improving SEO at the same time. The result is a fresh, modern, and a more sophisticated look to the site. The videos are now embedded beautifully into the pages, showcasing the club and making them a valuable part of the website. We initially went to Soto with some new content for our old website; their advice was to redesign and redevelop the site in a way that truly meets our growing needs. The new website that Soto delivered has exceeded our expectations, visually and architecturally, we love it and are excited to continue to work with Soto to extend and optimise it.